Cheryl Ann Williams has been awarded a coveted place at Aberystwyth University to study for a PhD in Fine Art – Painting. This will be a big and very exciting step for this artist and we wish her all the best. In order for her to focus on her studies during the next 5 years and make the most of this wonderful opportunity, she will take a break from selling work as she focuses on her studio practice. We have some wonderful original paintings by Cheryl available, and it’s the last chance for you to acquire a piece ahead of her PhD – and likely subsequent price increases. Cheryl’s gallery page will be deactivated on Friday (February 1st) of this week. 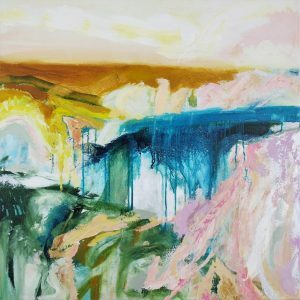 View and buy all available work by Cheryl via her gallery page.